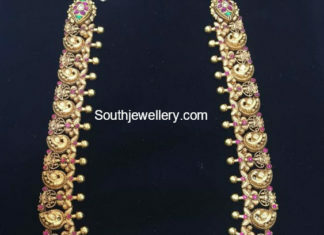 22 Carat gold antique peacock nakshi mango mala studded with rubies and emeralds by Sri Balaji jewelers. 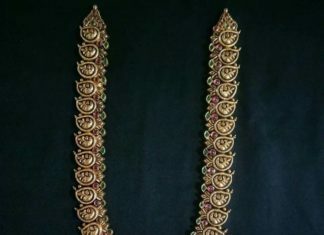 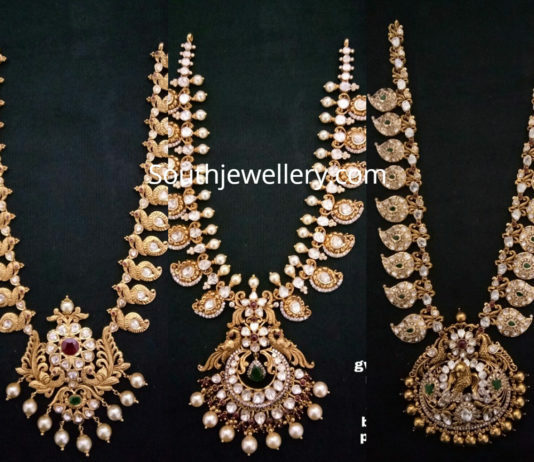 22 Carat gold antique finish Lakshmi mango mala with peacock pendant studded with polki diamonds, rubies and emeralds by Premraj Shantilal jewellers. 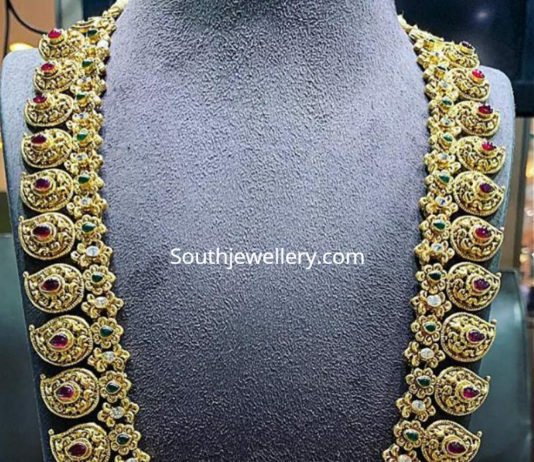 22 Carat gold antique Lakshmi mango mala studded with polki diamonds, rubies and emeralds paired with matching jhumkas by Kalasha Fine Jewels, Hyderabad. 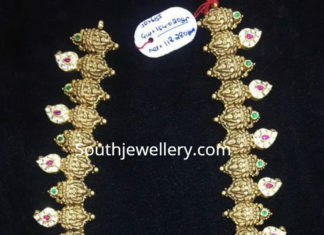 22 carat gold antique peacock mango mala adorned with cz stones, emeralds and pearls by Omprakash Jewellers & Pearls. 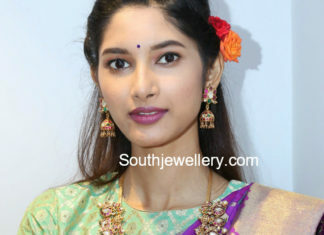 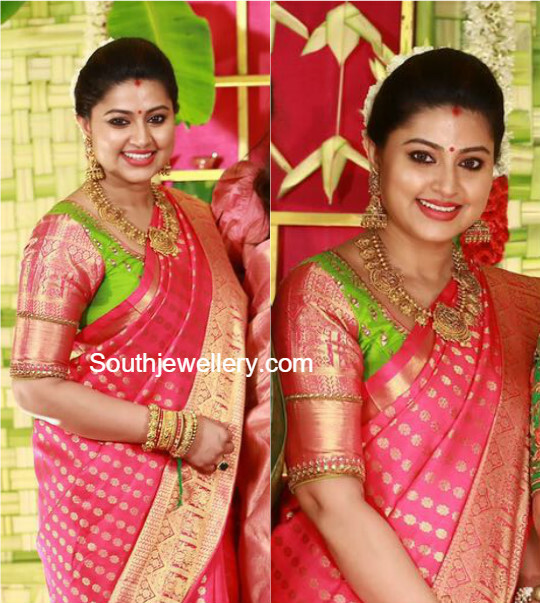 Actress Sneha in diamond long chain and diamond earrings with hanging south sea pearls.